... Can't wait to get my hands on it, frankly. Each month of the annual has proven more and more valuable. Still remains the best investment I've made for my games outside of the core game books, EVAR. 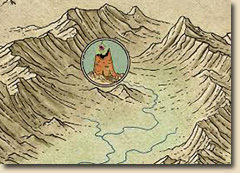 Welcome to ProFantasy's Cartographer's Annual - a subscription service providing you with a regular dose of creative content for Campaign Cartographer 3 and its add-ons. Each month the Annual will provide you with something new and special for your mapping endeavors: a mapping style, symbols, a collection of maps, and many other things. CC3's features make it easy to set up a collection of tools that produce a new and unique style in your maps. The hard part is often coming up with the original idea and design. The Cartographer's Annual aims to produce a wide variety of such styles to give you an out-of-the-box way to make your maps look fresh and serve as inspiration for your own designs. Each style pack is accompanied by a mapping guide which tells you how to use the templates, drawing tools and symbols and takes you step-by-step through the creation of an example map in this new style. Occasionally the Cartographer's Annual will provide new symbol sets designed to create a specific type of map or to supplement an existing set. 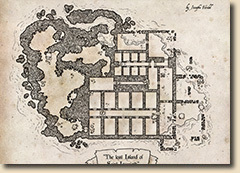 Some types of maps crop up again and again in role-playing games: taverns, caves, small villages and their ilk. The Annual will supply example maps for these that can be quickly adapted to your own needs. It will also include ideas and suggestions for encounters and adventures in those locations. 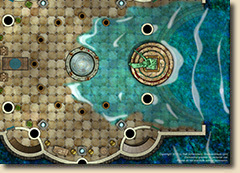 You can download several free sample issues of the Cartographer's Annual from our RPGMaps blog.